He started Fladmark Woodworks in his small shop in central Pennsylvania. 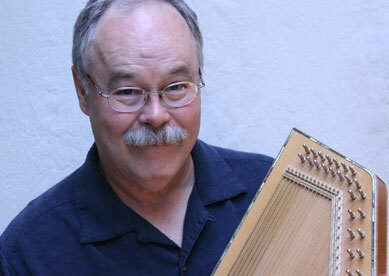 After a few years of building autoharps, he realized a need for a better and more reliable supply of autoharp strings. So, he invested in the equipment necessary and now spend much of my time making quality autoharp strings as well as autoharps. His approach to autoharp building has always been about quality and consistency, not quantity. Each Fladmark Autoharp is handmade by Tom, from start to finish, and is given attention to detail that makes a Fladmark Autoharp a delight to play, and beautiful to behold.